Kiev (AFP) - Ukrainian President Petro Poroshenko warned Sunday that the arrest of a millionaire associate of one of the country's most powerful oligarchs was only "the start" of a fight against the corruption plaguing the ex-Soviet country. Guennadi Korban, 45, a businessman and right-hand man of billionaire Igor Kolomoyski, was arrested Saturday as part of a probe into organised crime and corruption. 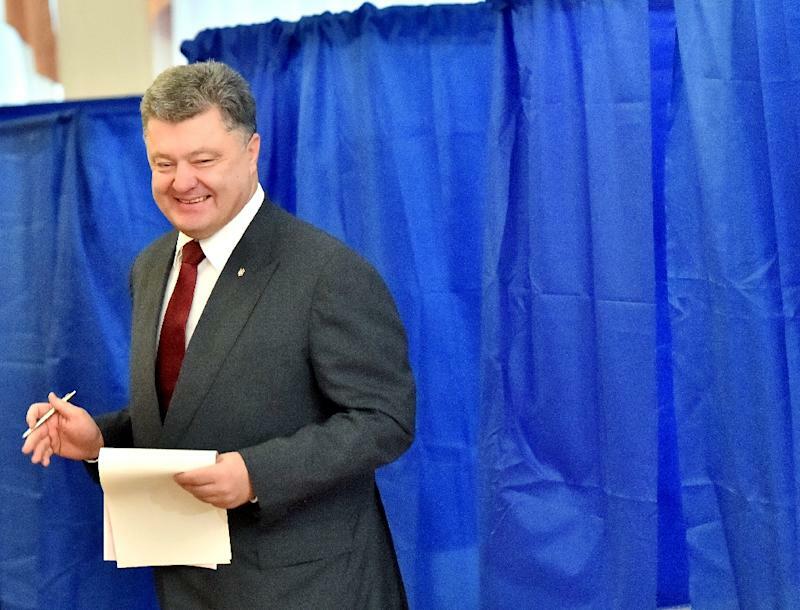 "Korban won't be the last," Poroshenko said in a joint interview with three television networks. "The fight against corruption and to restore order will continue," he said, vowing "no one will enjoy immunity... neither the representatives of the new dispensation nor the representatives of the old regime" -- a reference to the pro-Russian regime of ousted former president Viktor Yanukovych. Korban is being investigated among other things over the reported theft of 40 million hryvnias (1.5 millions euros, $1.7 million) earmarked for Ukrainian soldiers fighting pro-Russian separatists in the east of the country, according to the SBU security service. Ukraine's army alleges the money was used to finance private militia. Korban's Ukrop party has blasted his arrest as "political repression" targeting "patriots." Poroshenko, himself a millionaire businessman, has promised to crack down on oligarchs as part of a drive to tackle the graft that fuelled the street protests which brought down Yanukovych in 2014. Last year, he dismissed Kolomoyski -- one of Ukraine's richest men with major interests in banking and energy -- as governor of the eastern region of Dnipropetrovsk. The government accused Kolomoyski of setting up his own militia and of trying to take control of a state-owned oil company. Saturday's arrest of his associate Korban came a day after an annual wealth list showed Poroshenko's own assets soaring in value to $979 million (889 million euros), despite a deep economic crisis. Several dozen Ukrainians travelling in a convoy of vehicles protested Saturday outside the presidential palace in Kiev, demanding tougher action against graft.